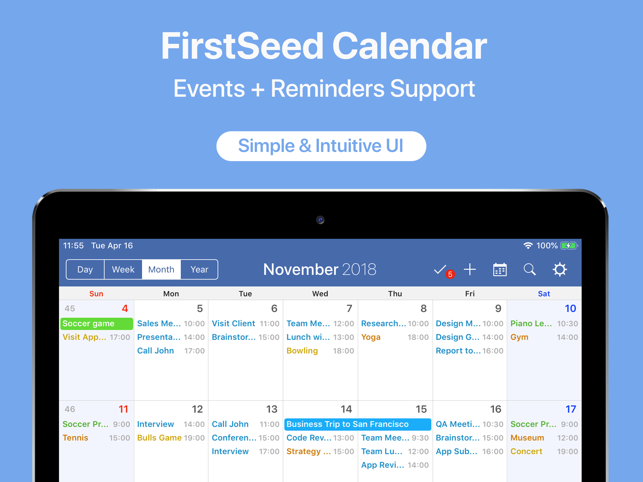 FirstSeed Calendar syncs with Apple's "Calendar" app, so you can use iCloud calendar or other online calendars to sync your events across all devices. It also syncs with Apple's "Reminders" app, so you can use iCloud to sync your reminders across all devices. - Added a new month calendar that can scroll horizontally. 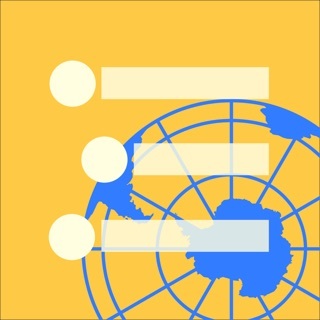 - Three new week calendars have been added. 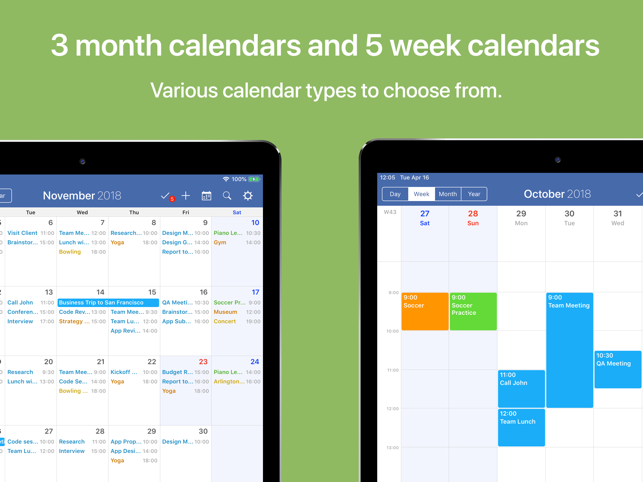 You can also choose the weekday on which week calendar starts. 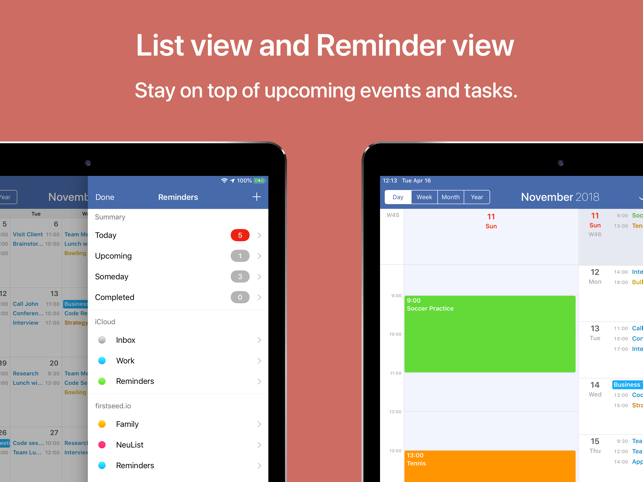 - Calendar sets allow you to quickly change the visible calendars. 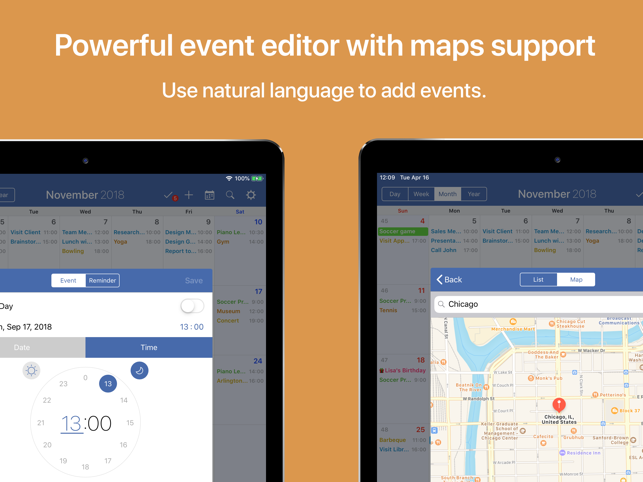 - You can now use maps in order to specify the location of an event or reminder. You can also search for specific locations or places. - Displays a badge on reminder button to show the number of over-due reminders. - Added larger font & bold font.